The date is February 15, 1965. 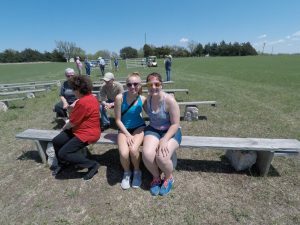 Two years prior, a large piece of prairie land was donated to the Kansas-Oklahoma Conference of the United Church of Christ by a local family of which our organization is named- White Memorial Camp. Council Grove Lake had just become operational for flood control in 1964. The rocks from the new reservoir were to be used to build the structures of WMC. Before the camp infrastructure was built and water levels would fill the lake, WMC began hosting the very first work summer camps dedicated to developing the site. Thanks to a group of passionate people with a vision to use outdoor education as a means of expanding the church, camp still stands strong on that solid foundation. Camp was quite literally grown from the native, local stone into a unique and spiritual place. One man and his family would begin shaping the WMC legacy. Enter, Harry Kasitz, WMC’s first Camp Host. I recently had the opportunity to meet with Harry. I arrived, with recently retired Pastor John Austin and WMC Accounts Manager Tricia Austin, at his home in Newton, Kansas. Harry is 93 years old. He arranged his kitchen table with photos, news articles, budget reports, and letters. While we sifted through 17 years worth of camp history, Harry and Rhonda, Harry’s caretaker, entertained us with quirky anecdotes about camp. Some stories were comical. Others were quite meaningful and delved into the true spirit of camp and how a summer experience with the right mentors, just might save a life. My favorite stories were about overcoming the perils of the prairie. In one such story, snakes infested the rocks people were trying to relocate. Harry arranged for a flock of 2,000 sheep to be brought to camp to stomp on the snakes as they grazed the hard to reach places. I didn’t ask him what he had to bring in to get rid of the sheep! And then there was the weather. It turns out tornados do not wait around for cabins to be built. The first year, there was no running water and nearly 500 campers stayed in tents on platforms. Harry spent much of his early days hauling water to and from the kitchen. 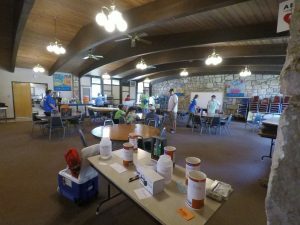 To feed campers, chickens and cows were purchased from local farmers. I was glad to hear that camp has always had delicious food! To attend camp in 1967 it cost $27.50. Although times have changed, the experiences remain priceless. I think of the myriad of projects we currently have going on and I sometimes feel overwhelmed. Then, I think back to Harry’s great leadership and the early days- the uncertainty of a new camp, the intense manual labor, the know-how of the workers, the dedicated volunteers, the community contributions, and the vision it took to bring WMC to life. That gives me something to aspire to. I am grateful for our safe place and cherished amenities. Join us this summer and let’s make our own memories! Thank you Harry, and to everyone who was there in the beginning. And thank you to the snake-squashing sheep,there are too many of you to name. Make your world more colorful with our Experience WMC printable coloring page! This is the perfect activity to keep your camper happy and active during these cold winter snow days we keep having. 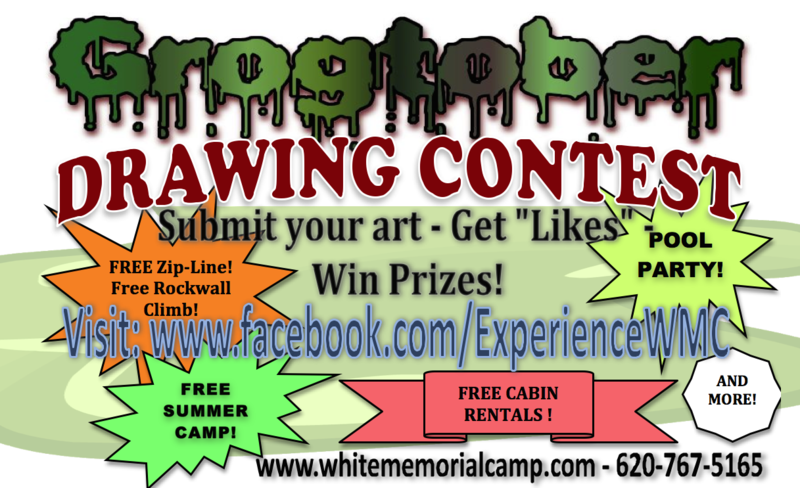 Plus, we would love to have you share your completed coloring page with us on Facebook and Twitter. Get to coloring and ENJOY! Every summer has a story… and it begins with you! 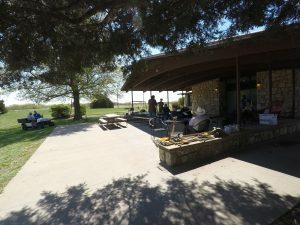 Once upon a time in the heart of the Flint Hills, surrounded by a glorious lake, was a fantastic place where everyone was welcome and anything could happen! Take part in the epic tale. Registration is now OPEN! Sign up to receive the EXTRA early discount, free camp t-shirt, and be entered to win prizes such as; limited edition t-shirts, sleeping bags, s’mores kits, camping gear, camp discounts and more! Join us for fellowship, meditation and renewal while viewing the Center for Action and Contemplation “Conspire 2018” webcast. It will be a weekend of contemplative teachings, practices, reflection, and conversation with Richard Rohr, Barbara Holmes, Brian McLaren, Barbara Brown Taylor, and Mirabai Starr. Let’s breathe together. Inhale and exhale, listen and share, let go and receive while in the beautiful surroundings of WMC at the Council Grove Reservoir. Proceeds from the weekend retreat will benefit Manhattan Alliance for Peace and Justice (MAPJ) and Ecumenical Campus Ministry (ECM) at K-State. Click Here to Register for Conspire 2018. A very special thank you to everyone who arrived full of energy, ideas, and passion. The hard work truly paid off and we got camp closer to being ready for the fast approaching summer season. We simply could not do this without the continued support from our volunteers and camp family. Thank you, thank you, thank you. Plus, we had a great time! A GREAT BIG THANK YOU TO OUR DONORS! Your support helped to make Work Hard, Play Hard 2018 a huge success. Thank you Ray’s Apple Market, The Tire Shop, Bachura Family Automotive, TCT, Pizza Hut, Saddle Rock Café, and Dairy Queen for your contributions. Saturday’s work crew included Ron Graham, Susan Graham, Bill Pooler, Ruth Pooler, Hannah Pooler, Katelyn Pooler, Paul Beck, Penny Selbee, Don Peterson, Dan Force, Jeremy Force, Ray Whittaker, Dovian Whittaker, Josh Whittaker, Justin Whittaker, Marguerite Fredericksen, Abby Philips, Morgan Scott, Vonda Shayne, Rocky Spittles, Frances Alexander, Jeff Keller, Shirley Spittles. Pam Lansing, Gary Rowley, Nancy Rowley, Praesha Emmert, Cecilia Emmert, Emma Fraye, Sarah Steele, Maddie Steele, John Lansing, and Jamie Bratu. · Flagpole was set up. · Tetherball base was set in new location. · Basketball goal was reset and rim repaired. · Volleyball net was hung. 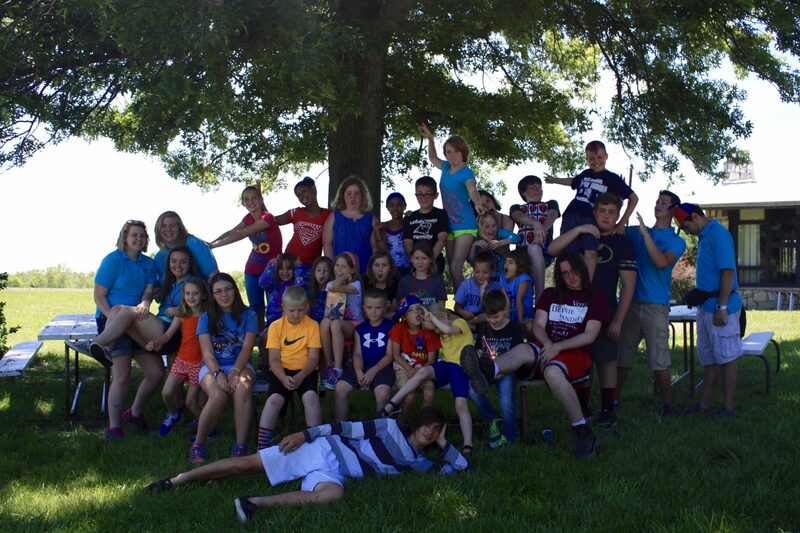 · Playground and volleyball pit were weeded. · Volleyball pit edging was installed. · Picnic tables were scraped, sanded, and painted. · Fourteen chairs were reupholstered. · Disc golf basket were moved to their new location. · Flowerbeds were weeded and cleaned. · New cross was raised and installed at Vespers. 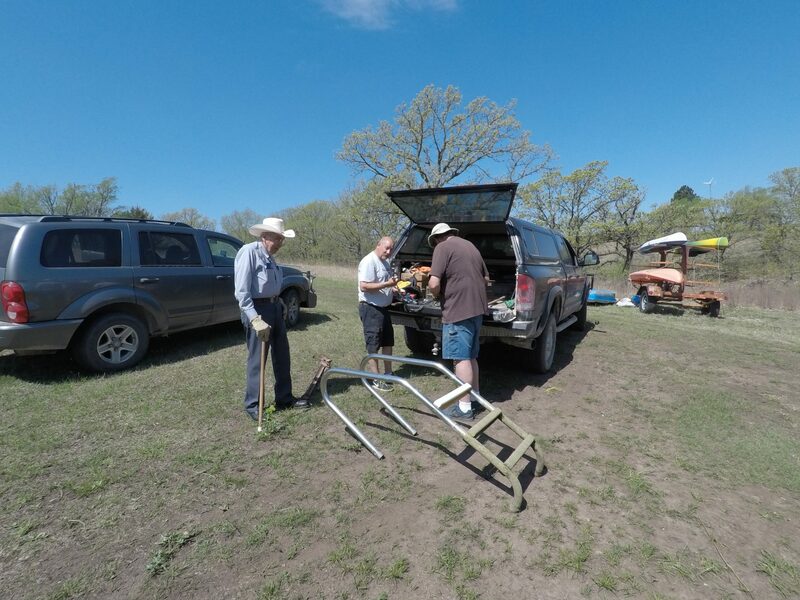 · Boat dock was taken apart and pulled onto shore for repair and relocation. · Pool bathrooms were scraped, power washed, acid washed, and are ready to be painted. · Swimming pool was power washed, inspected and prepped to be filled for the summer. 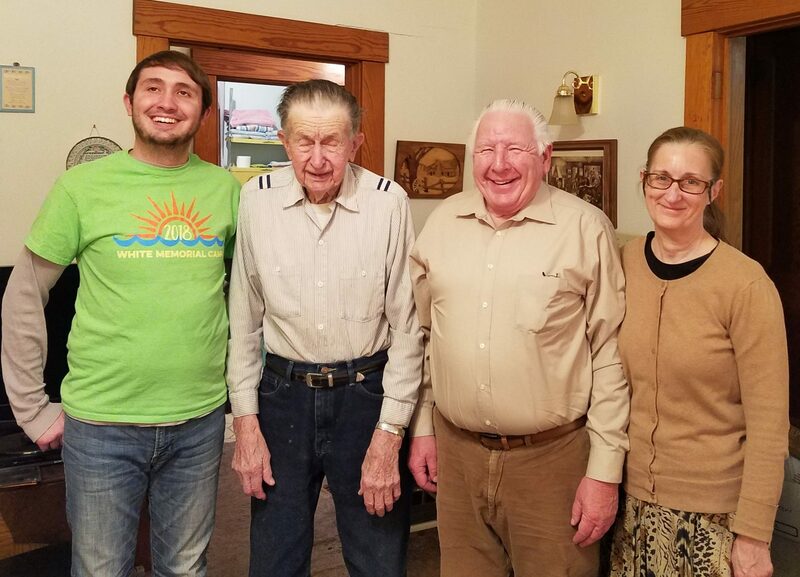 · Volunteers cooked a delicious dinner of pork tenderloin, sweet potatoes, and veggie pasta. This year, we highlighted just a few of the many that have contributed to White Memorial Camp’s mission over the years. We know there are many more out there. 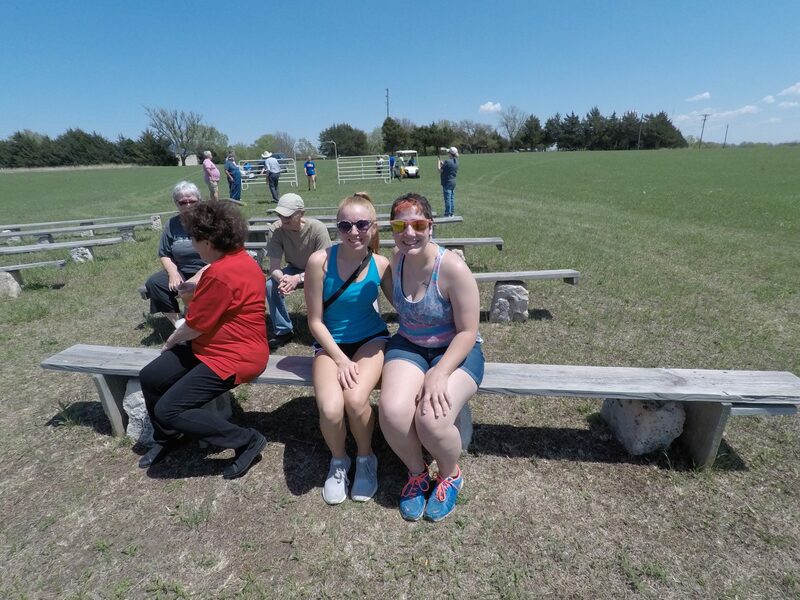 We honor everyone who volunteered Saturday, as well as all of the unseen and unsung heroes that help support, donate, pray for, and promote the WMC Experience. Harry Kazits: WMC’s first director. Harry raised his family here at camp. His incredible efforts left a lasting positive camp experience. Byer Family: Burk was integral to the construction and development of the camp grounds and facilities as we know them today. We hope he and his family know how grateful we are. Debby Schwarz, Kathy Seibert, Glenda Bauer, Amy Redmon: These four women have spent years leading our retreats for adults with intellectual and developmental disabilities. Debby, Kathy, and Glenda spent countless hours planning activities, crafts, snacks, themes and even more hours supervising, dancing with and mentoring our guests and our volunteer counselors. We could not have had so many successful years without their support. Amy does the same. She still leads Cottonwood camp and is looking for volunteer counselors this summer. It’s incredibly fun and rewarding! Thanks to our on site staff. They’re constantly working behind the scenes to provide all of our guests with quality care. Pam Lansing’s continued efforts, ideas, and creativity around the camp don’t go unnoticed. She takes each guest’s needs to heart and ensures that camp provides them. Plus she knows where everything is! Shirley Spittles’ compassion, community awareness, and observation skills make her a great consultant when planning events, working with clients, and reaching out to make connections. She is adaptable and looks out for her fellow staff. Eddie Vineyard is our very own maintenance MacGyver of WMC. He keeps the place afloat and does so with ingenuity and with the future in mind. Gary and Nancy Rowley are new to the staff, but already their enthusiasm and hard working attitudes have impacted the grounds and facilities. Jamie Bratu is our new marketing lead, responsible for community outreach. She comes with a creative and positive perspective! She’s been connecting with Council Grove and the surrounding community to help spread the word about the WMC Experience. Tricia Austin is our volunteer accounts manager. She goes above and beyond in her efforts to monitor camp’s financial future. Bargain hunter, registrar, delivery service, and beyond. Her attention to detail is a super power. Programming Staff: Sean Gorman, Abby Philips, Morgan Scott, Matt Goeckel, and Elizabeth Baldwin are our most recent summer counselors out of countless counselors WMC has encountered. Thank you all for your time, sweat, tears and your amazing over-sized hearts. You are at the front lines of what we do. Thank you for taking it seriously and keeping it fun! Volunteer Counselors: Continually fortunate to have an incredible force of folks who come to support our adults with intellectual and developmental disabilities. Truly a wonderful group of hard working, caring, counselors. The best way to support these counselors who support us and our campers, is to come join them. White Memorial Camp Management Group, Inc. Board Members: Thank you for your passion, drive, and willingness to support faith-based camping. To all of you…THANK YOU. Join us May 5, 2018 for Work Hard, Play Hard! We’re excited to extend an invitation for our White Memorial Camp volunteer work weekend! Check-In starts at 8:00 am & continues throughout the day. 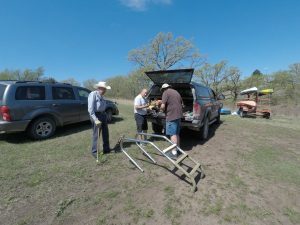 Help us with miscellaneous projects to prepare for the 2018 camping season! We would love to be recipients of your time and talent. We have several special projects to work on around camp. Childcare will be available. Appreciation of Awesomeness Dinner 5:30 pm. All are invited to attend a fun dinner celebrating everyone that makes camp possible. Fun, food, prizes, and story swapping. Did we mention the food? Dinner is free with an opportunity for small goodwill donations. Please RSVP by April 25. 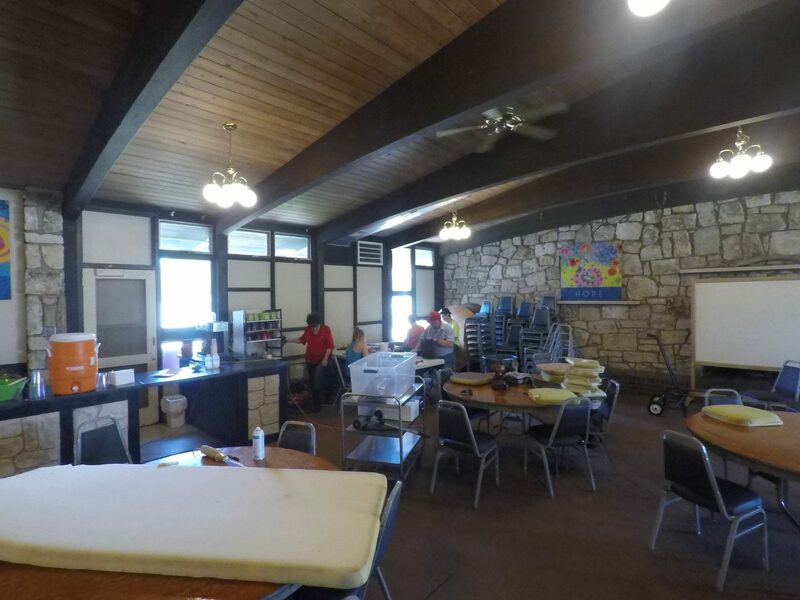 May 5th is our primary workday, but WMC invites those that would like to experience camp an opportunity to lodge at the lake to help on Friday and/or Sunday projects. Friday dinner will be on your own. There will be some cook-out supplies available. Saturday a light continental breakfast and coffee will be available. Would you like to nominate someone to be honored? WMC wishes to recognize staff, volunteers, donors, and constant supporters. We believe what we do is important and it is impossible without you! Do you know someone who should be recognized? Please RSVP by April 25 by completing the WMC registration to let us know if you’ll be attending our free dinner, your volunteer interests, number of people in your volunteer work party, and your honoree nominations. 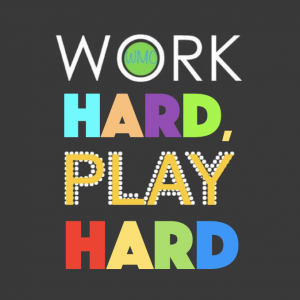 Click here if you would prefer to print your Work Hard, Play Hard 2018 registration and mail it into WMC. Ah, yes, the age old side effect of summer camp. Homesickness is more prominent in first-time campers, however a seasoned camper may experience homesickness depending on what is happening in their social or home life. Homesickness even strikes some parents! Home is where the heart is, and when yours is at camp, you’re bound to worry! 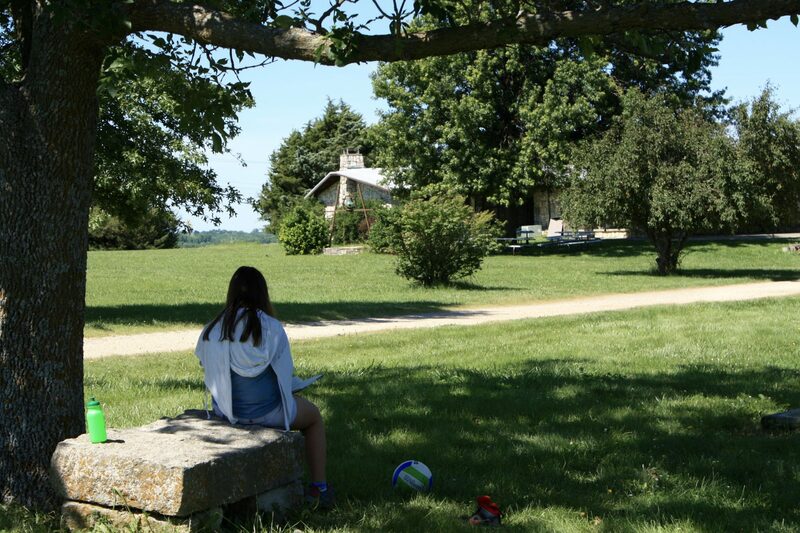 We hope you’ll find solace in knowing you and your camper are not alone. We don’t wonder if someone will become homesick each week; we count on it. We are used to it, but that doesn’t mean we take it lightly. Overcoming homesickness is a key stage in development and is one of the major benefits an overnight camp provides. Our staff is prepared to work with your child to ensure they feel safe, heard, cared for and included. Many of these questions are surface responses to underlying feelings of insecurity due to things such as: I miss my friends/family/pets, I’m over-stimulated or I’m tired, the food and beds are different than what I’m used to, I’m not getting along with a camper, the rules are different here than at home, I’m worried that my parents are worried, I don’t feel safe due to the difference in environments compared to my house, I miss my video games and cell phone, I haven’t meshed with my peers yet, I haven’t found a favorite activity yet, I refuse to try something new because it is different, and so on. WMC staff is ready and prepared to help campers through this difficult time by ensuring they feel heard, problem solving and making sure they are safe and included. Below is a good article with a few tips about how to cope with homesickness. We encourage strong communication between the camp and its guests and their parents. You can call the office or e-mail us with questions. We pride ourselves on our communication amongst staff so we recommend you contact the office directly rather than counselors as it could disrupt the flow of the day for your camper as well as the rest of the campers. The campers have access to the office phone if needed and most of the staff carries cell phones. Parents are encouraged to follow our Facebook, Twitter, Instagram or check our photo streaming on our website to see what’s going one each day. It is difficult to get photos when you are the ones leading the events, but we try our best to keep you in the loop. Letters from home: We highly recommend a letter from home. If you’d like to send letters to your camper, we recommend sending them a week in advance or leaving them at registration to be handed out on designated days during meal time. You can do this with e-mail as well and we can print it off. If you are viewing this on your cell phone, tablet or laptop, there is a slight chance you may not like the following article, but hear us out! A new trend at camp, WMC staff have been talking to the tops of kids’ heads more and more. With their faces pointed down they’re missing out on an entire world of camp above and around them. An exaggeration of course, but not by much. Having a phone near by is like trying to ignore a new mosquito bite. Even if you’re not scratching, you will do so subconsciously and that itch is always there. Comparing mosquito bites to cell phones, that’s a new one. For those returning to camp, you know that for year’s we’ve had a policy stating “no electronics at camp.” We used to allow campers an hour each day to have their cell phones during Camp Sore. However, if the phones did manage to get checked in, they are often not returned after the first camp store and become a distraction during the week and at night in the cabins. Being a summer camp, it’s our job to help kids connect with nature and each other. We want to build lasting skills and forge lifelong memories. This IS doable even if they aren’t saved on Instagram. and to be good role models in doing such. As part of that initiative, we are no longer allowing phones, laptops, tablets, ipads and other electronics at camp. If a camper would like a picture taken they can ask a counselor, bring a digital camera/disposable camera, or use the camp camera we will have passed around during the week. We strongly believe this will enhance the Camp White Experience and provide a stronger community and a needed break from the devices that we all, myself included, rely on so heavily each day. Please read the letter below adapted from another Camp that describes our position and plan with cell phones. If you have questions or concerns let us know. “Every season parents call to voice their concern that their children want to bring their iPhones, smart phones, ipads, iPods, kindles or laptop computers to camp. Not only are cell phones and other electronics expensive and can get stolen or lost, but also their usage can interfere with and even sabotage a child’s overall experience at camp – as well as others. 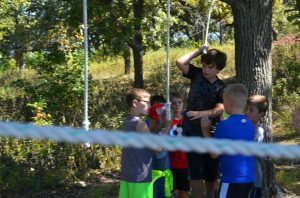 A camper that spends so much time immersed in technology or communications may do so at the expense of getting to know fellow campers and counselors. Summer camp offers a great opportunity to learn about and navigate social situations while not being constantly connected to and immersed within a digital/virtual world. In the past, we have tried to accommodate those requests but found that personal WIFI holds too much temptation and campers would be found checking emails and texting, using instagram etc. while walking to activities, during classes or evening performances. All of this is counter productive to camp life and cannot be tolerated. Perhaps most importantly, a cell phone represents a tether to one’s parents and friends from home and may serve as an impediment for a child to learn how to solve problems on their own in what might otherwise be a structured and supportive environment for growth and independence. The phone or laptop or ipad becomes a vehicle for all sorts of online communication, instant messaging, and viewing. Counselors monitor interpersonal social interaction at camp to prevent bullying and so forth. However, online bullying can occur and staff would have no way of monitoring the potential negative effects that could be brought into the camp world from the digital world. This year, we enforce a no cell phone usage, no WIFI policy at camp. We will have laptops in the main office to be used for e-mailing in and out of camp. With permission, a camper can use the program office WIFI, including after activity hours, to do school related projects/homework/research, SAT/ACT study, etc. Additionally, we understand that your children might be more comfortable having their own music close by and suggest an inexpensive MP-3 player. To reiterate, we are, as strongly as possible, asking you to have your children leave this equipment at home. WHITE MEMORIAL CAMP CANNOT AND WILL NOT BE RESPONSIBLE, FOR ANY REASON, FOR THE LOSS OR DAMAGE TO YOUR CHILDREN’S ELECTRONIC EQUIPMENT including but not limited to cell phones, laptops, tablets, kindles, cords and chargers etc. We hope you’ll join us in unplugging from daily routines in hopes of reconnecting with the simple things. Disconnect to Reconnect at Camp 2017. This may bring up questions about communicating with your camper or Homesickness. Stay tuned for the next post for answers to help with this! Wow, it’s done! 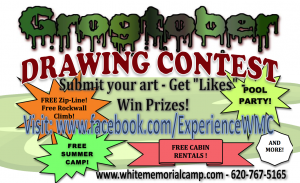 White Memorial Camp has a new website which includes our own on-line registration abilities. Registering on-line will be much easier than it has been in the past. We hope you’ll let us know how it’s working for you. As always, the credit card processing is very safe to use, and of course, we never share your info with anyone else. Watch for the content to grow on the website. We’ll keep expanding from here with lots more information about camps, camp rental, and other events you might want to know about. Keep checking back and offer your suggestions for fun things to post.